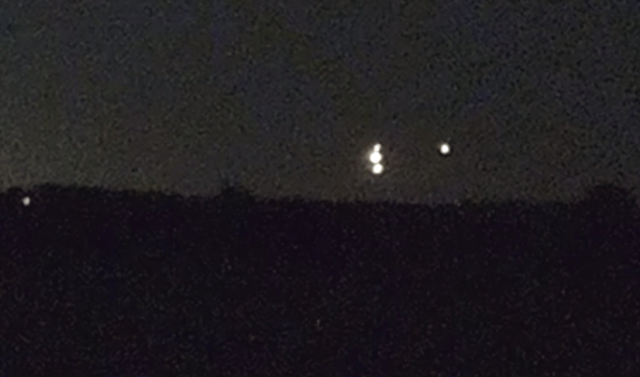 UFO SIGHTINGS DAILY: UFO Orb Fleet Over Conway, Washington On Sept 2016, Photos, UFO Sighting News. 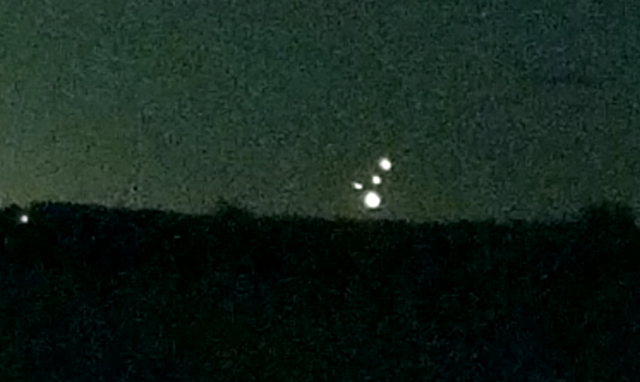 UFO Orb Fleet Over Conway, Washington On Sept 2016, Photos, UFO Sighting News. Date of sighting: 9-29-2016, reported today. This report just in. 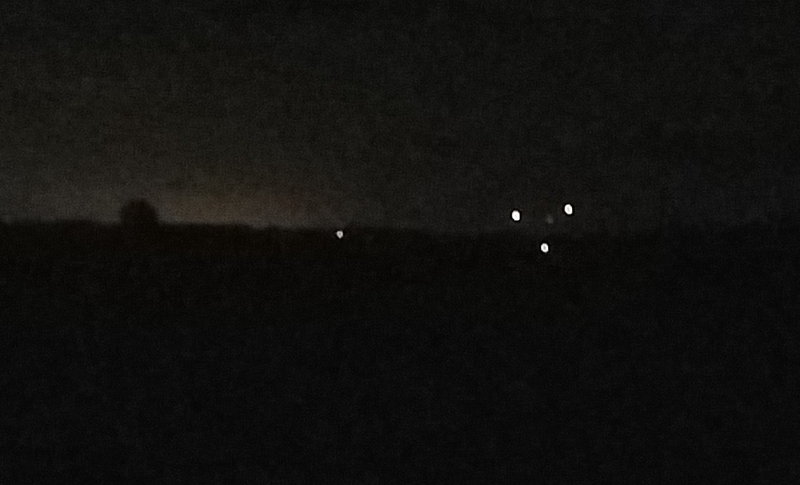 Its about a fleet of glowing orbs buzzing around a hill area in Washington back in September of 2016. As you can see from his photos (I didn't change them in any way) the glowing UFOs stay in a group of 4 while a single orb explores the ground. This keeps the ground one safe from being seen to closely, and the UFOs higher up are just there to keep look out. Event date: 9/29/16 20:45-21:30 My friends and I were at a place we have previously seen UFOs at, catching up, when we noticed at an approximate heading of 190 a craft that was first assumed to be a plane. First photograph shows first object approximately 1° below horizon. Craft is later seen 4-5° above horizon with an estimated distance of 2-8 miles. Shortly after first observation, a smaller light emerged from the first, and took up position near it. Then, a second did the same, along with a 3rd. Emerged lights seemed to orbit in irregular patterns around original object, as the larger one slowly seemed to move to a heading of 180° After roughly 10 minutes of observation, the 3 other objects seemingly rejoined the original, as though they were docking.